Roulette is one of the oldest and most beloved casino games in the world, and the expansion of online gambling has seen many players drawn to spinning the wheel from the comfort of home or the convenience of a mobile device. 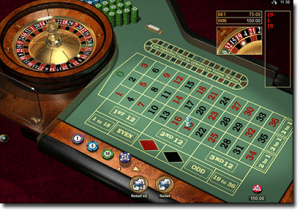 This article explains how and where to play roulette online for real money bets – you’ll never have to bother with land based casinos again. 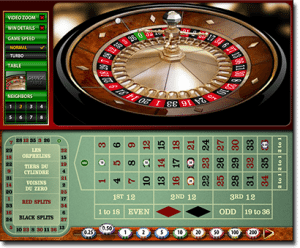 The aim of roulette is to correctly predict which number the ball will land on before the roulette wheel spins to a stop. Bets are made by placing chips on the corresponding betting table, with each inside and outside bet carrying different odds and payouts. You can bet on anything as simple as the ball landing on a red or black number, or an odd or even number, to more complex bets based on where the numbers appear on the betting table. If your guess isn’t successful, you lose your wager, but if the ball lands on a number you placed a bet on, you win, with winnings ranging from the satisfying to the life changing depending on the odds of your bet and the amount of your wager. 1. Sign up for an account with a reputable, trustworthy casino like the one’s recommended here at BettingPlanet.com. These are all available in instant-play mode which means games are accessed directly over your web browser without the need to download any software. 2. Make a deposit to your account in your local currency using a safe payment method like Visa, MasterCard, Neteller, Skrill or Paysafecard. 3. Go to the game lobby and locate the roulette category, here you will see all the online roulette variants available, with the best games coming from software developers like Microgaming, Net Entertainment, BetSoft and Play’n Go. 4. Open your chosen game and use the mouse (or touchscreen if playing on your mobile) to select the amount of your bet, then click to place chips on the betting table. 5. When your desired bet is in place, click the spin button and watch the magnificent red and black wheel spin around until slowing to a stop. The computer will automatically credit any of your winnings straight to your casino account which you can either choose to withdrawal, or use to continue placing real money bets. Take note roulette can also be played for free in practice mode, so you can familiarise yourself with how online play works before risking any of your own money. When it comes to online gambling, different rules apply to different countries, so the same online casinos can’t be accessed by all players. For example, Australians and Europeans can legally access hundreds of trustworthy offshore casinos, while Americans may have to dig a little deeper to find a casino accepting US players. Players from China, Japan and the Middle East will also find less options, with tougher legislations in place in regards to virtual gambling. What roulette variants are available online? When playing roulette in a land based casino, we’re limited to whichever roulette variant the casino has decided to offer, which is usually American Roulette (the double zero version) because it has a higher house edge which pays in favour of the casino. The beauty of playing online is we’re free to choose from whichever version of roulette we like, with access to games with better odds than you’ll find in a real casino. Live dealer gambling has blown up in popularity over recent years, and roulette makes for one of the best live dealer games. Games are hosted from high-end studios created to replicate the genuine atmosphere of playing at a sophisticated casino and are hosted by real humans. In live dealer roulette, we get to place bets in real time and then watch the croupier spin the wheel before our eyes as we cross our fingers the ball will land on red or black, or odds or evens. Games are streamed in high-definition live video direct to our computers or mobile devices, with fully customisable settings. You’ll find live dealer versions of American Roulette and European Roulette at our recommended casinos, with live games available to play for real money bets only. Most online casinos now offer a mobile version of their full desktop site, with games optimised for portable play on the smaller screen of smartphones and tablets. Mobile casinos offer a selection of mobile roulette games, which can be played for real money directly over your mobile web browser using any iOS and Android powered device.